The CollaborationAU is a biennial event bringing together artists / craftspeople from around the world to share talents and make collaborative art. Sculptors, furniture makers, wood turners, blacksmiths, painters, multi media artists, carvers and others share expertise and resources to make some wonderful artwork that is sold at auction at the end of the event. This not for profit venture aims to provide a creative atmosphere where participants can improve the breadth of skills and networks of participants. 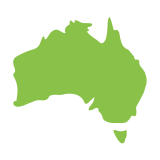 This collaboration has been held in New South Wales, Australia since 2000, each year has a dedicated web space accessible through the archive here. in 2019 CollaborationAU will be held in Bowral NSW.